Band of Parents is the top independent backer of neuroblastoma research at Memorial Sloan-Kettering Cancer Center (MSKCC). Our mission is to seek projects that have already been examined in the lab and are in need of assistance to rapidly move into a patient population. In the 1980s, fewer than 5% of children diagnosed with high risk neuroblastoma survived. Although today, most major medical centers like MSKCC have over a 50% survival rate, far too many children are still dying of this disease. The sad fact is that due to the high cost of research and the small number of children diagnosed annually, pediatric cancer is severely underfunded by both the pharmaceutical industry and the federal government. Less than 4% of the National Cancer Institute’s funding goes to fight pediatric cancer. We support our members through their children’s battle with neuroblastoma. Together, we are Bound by Hope that a cure is out there. We will continue this fight until not a single child is lost to this disease. 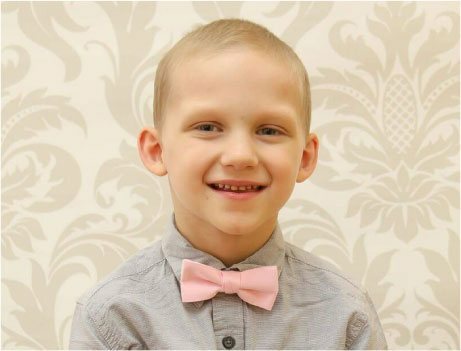 Neuroblastoma is the most common cancer in children under two years of age and is diagnosed in approximately 700 children in the U.S. each year. Its cause is unknown. Arising in the developing nerves of a child, it often appears as a tumor in the chest or abdomen. Neuroblastoma is often difficult to treat, with patients suffering multiple relapses. Every 16 hours, a child with neuroblastoma dies.